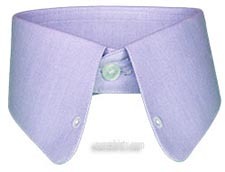 Why Buy A Custom Dress Shirt? The reasons that people buy a custom shirt from execshirts are as unique and varied as our customers. Some people are actually comfortable with the fit they get on a standard shirt size but love the customization options we offer. 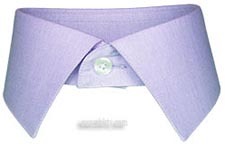 You can choose to individualize your shirts with unique features like a spread collar, french cuffs, or monograms. 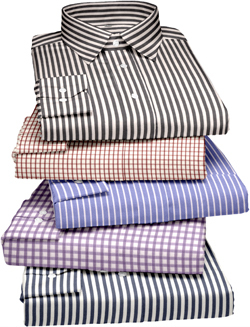 At execshirts you decide every aspect on your shirts from fit to options to fabric. 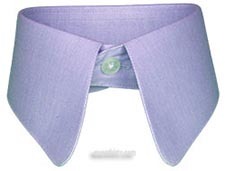 You can show your sense of style by making a fashion statement with your bespoke shirts. The only rule we have is that we will make your shirts exactly the way you want them, limited only by what our tailor can accomplish. 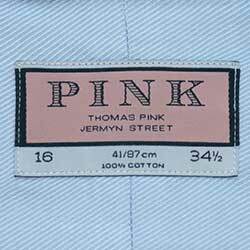 Execshirts offers the most comprehensive array of fabrics available online, made to the specifications that you have, not what some department store buyer has. Those are some of the decision factors in buying Men's Shirts, now we will go through a little more detail on each while also providing links to places on our site where you can get the full story. 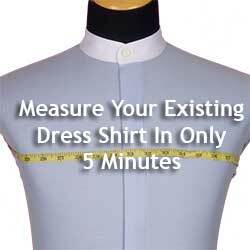 Fitted Shirts - No Measurements - No Problem! 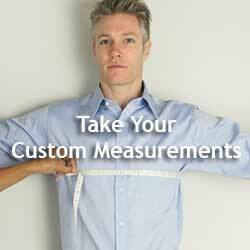 Never bought custom tailored shirts before? Worried about the fit? We have a solution for you that will alleviate your worries. 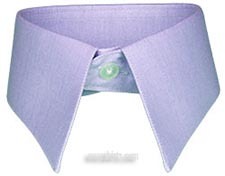 We offer our exclusive "test" shirt program for new customers, you will not find this innovative solution anywhere else! Why not take advantage! Use our Buy 4 get 1 FREE promotion on your first order and we will only ship one shirt to you to confirm your sizes. 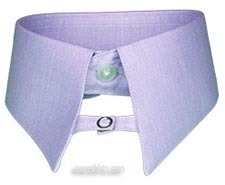 You will try the shirt on and compare to our "proper fit" guidelines that you will find online at our website. You can tell us if the shirt fits fine and we will ship the remaining shirts without any size changes. Or, you can tell us where the shirt does not fit properly and we will make those changes prior to completing the balance of your order. 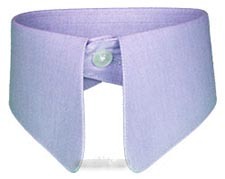 If the initial shirt cannot be worn properly we will replace it for FREE! 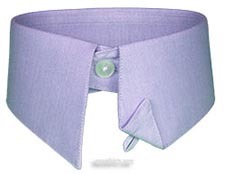 So you can order custom dress shirts RISK FREE, but only at execshirts! 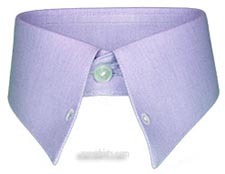 We tailor the highest quality dress shirts available online, the only way you could get a higher quality shirt is to pay 4-5 times our prices and go to a tailor where your shirts are made with fittings similar to what would happen if you bought a custom suit. All of the fabrics we use are of the highest quality, our tailor inspects every fabric before we add it our stock. 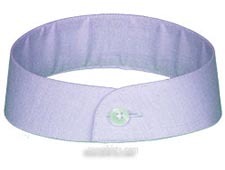 The fabrics are reviewed to ensure that the quality of both the weave and the finish meets our requirements. Many people focus on thread count as the most important factor when deciding dress shirt quality, but our tailor knows that fabric finish is the most important factor when making a shirt. 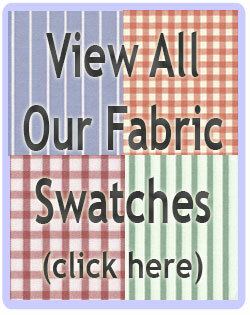 Click on the link to go to our fabric swatch gallery page where you can view hundreds of fabric swatches and then drill down to find more information on that specific material. Quality also includes the actual construction of the shirt as well. We custom tailor our shirts using single needle stitching to ensure a smooth look, then use special double needle stitching on all the seams to ensure the wear-ability of your shirts. 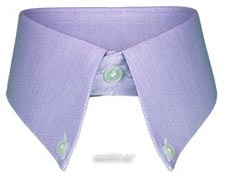 One of our customers remarked to us that we were bad businessmen because the quality of our shirts was so good that he did not have to order again for several years. 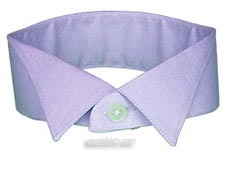 Of course how long you can wear a dress shirt will depend on how often you wear it, how you launder it, etc. But you will not find any custom made shirts online that are better quality than what is offered at execshirts....PERIOD!